Funny thing, about using all these different decks. 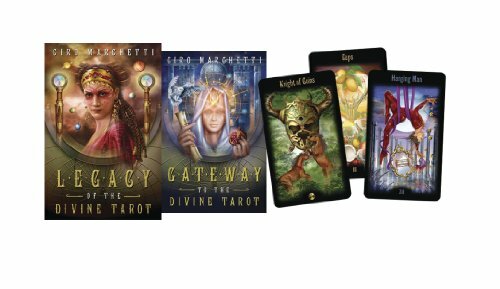 Not only does Tarot have a language of it’s own, but I find every deck has a special vocabulary as well! While this card usually speaks of generosity in general or charity in particular—for love questions, I call it “the Charity Dating” card—the Six of Pentacles from Legacy of the Divine shows up for me especially when there is jealousy afoot, or giving with mixed motivations. Green with envy, you know? Maybe the recipient resents the giver, or maybe the giver resents the recipient for not having to hustle up the resources. I don’t know, but it’s worth watching. Reversed, material facts are likely withheld, something’s not quite on the up-and-up. I’d say, look that gift horse in the mouth today! Make sure it’s not got a cavity problem, lest you be spending more on vet bills than you would have picking out your own damn horse. The same goes for examining personal acts of kindness. Are they really kind? Nothing wrong with a win-win, absolutely, but don’t try to sell a win-win as a “favor-win,” you hear? Always be honest, first and foremost with thyself. The better you understand what drives you, the better your internal GPS works for you. Keep it all clear and clean. Make sure your favors really ARE favors today, on both sides of the fence. If you offer a hand, be sure it’s really serving the greater good and not alleviating your own discomfort or emphasizing your own status. If you take a hand, make sure there are not massive strings attached. Keep your own gifts from the heart, and accept only those you trust and you’ll make out well. You have experience with questionable gifts?